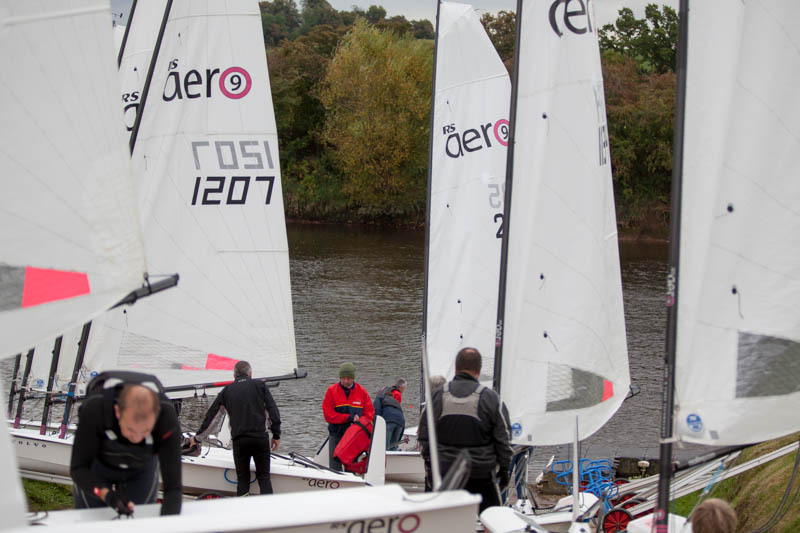 With many RS Aeros based on rivers throughout the UK there was keen interest in a dedicated UK River Championships. 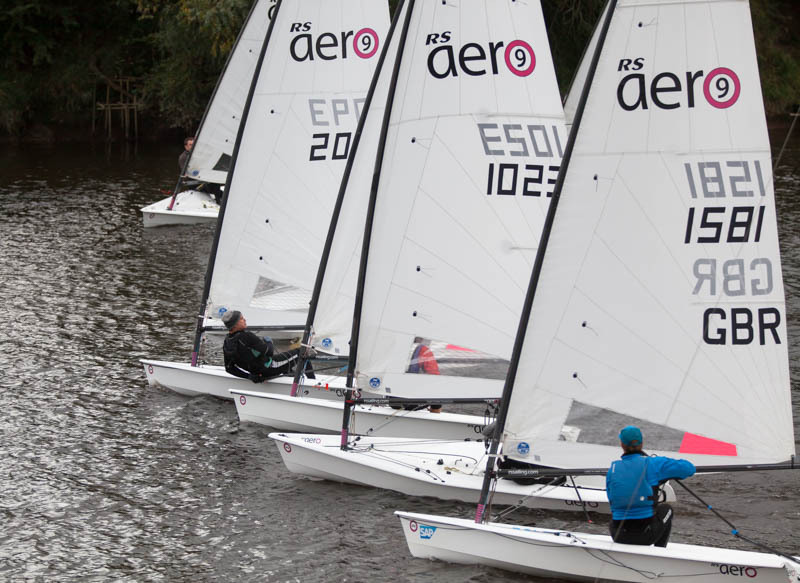 Avon SC on the Severn near Gloucester and their emerging fleet of 7 RS Aeros volunteered as the hosts of the first annual Champs. The challenges and enjoyment of river sailing are a plenty and can prove more interesting and rewarding than open water, especially in a pretty spot like at Avon SC. Befittingly, this is where the RS Aero designer, Jo Richards, sailed through his youth with the testing river environment in which to develop his talents towards his Olympic medal. Jo's top tip for this event was; "Sail intuitively, you don't have time to consider a decision! Embrace and enjoy the challenges." The fleet did exactly that with a fleet of 23 turning up from all directions. 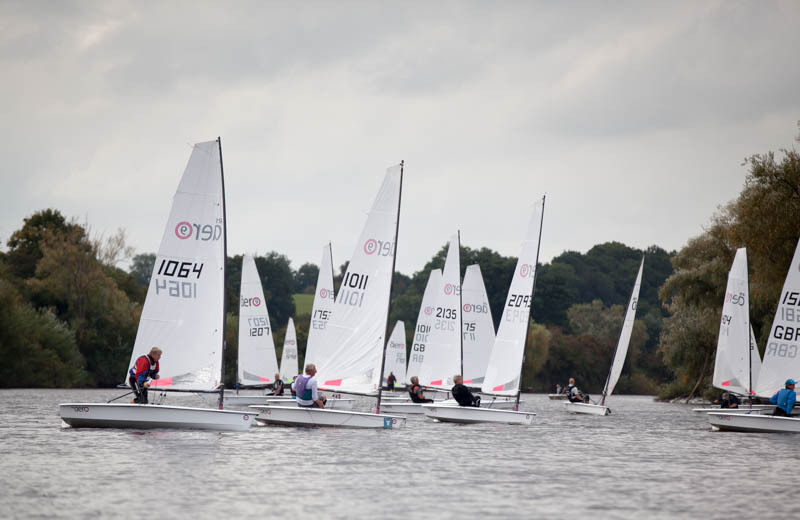 Other river clubs reprsented were York RI, Bradford on Avon, Severn and Lymington. The Severn here has a good 60m of width providing space for a good fleet whilst also compacting the racing nicely. 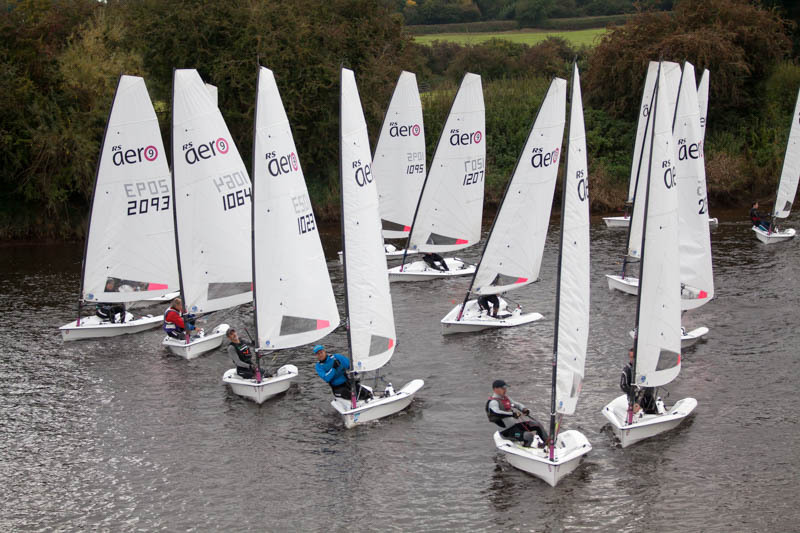 With the light/medium breeze on the sheltered river sailors opted to make the most of the Aero’s flexibility to power up with the spread being eighteen ‘9’ rigs and five ‘7’ rigs. The ample north easterly provided a windward-leeward straight up the river. Racing was intense; jam packed starts and calls for ‘room’ off the shore. Tacking technique was at a premium, as was acceleration skill and the ability to keep the boat moving though the shifts and lulls. The 18 RS Aero 9s filled the start line 2 deep jostling for position ready to accelerate hard on the gun. On each windward leg we did over 25 tacks each totting up towards 300 each over the day! Now we know how Antony Lynall tacks to gracefully! Peter Barton took the wins in the 9s, but only after some epic battles with Ben Rolfe, Gareth Griffiths, Antony Lynall and Harry Joyce. Those battles proved so engulfing that on more than one occasion the leaders were so focused they sailed straight past the marks! Just one point separated 2nd-5th with Antony taking 2nd and Gareth 3rd overall and 1st Master. In the RS Aero 7s once again this year the Ladies showed the way with Fiona Lucas pipping John Harvey to 1st overall. Third was local river sailor David Harris from Severn SC (situated on the River Avon - long story!). 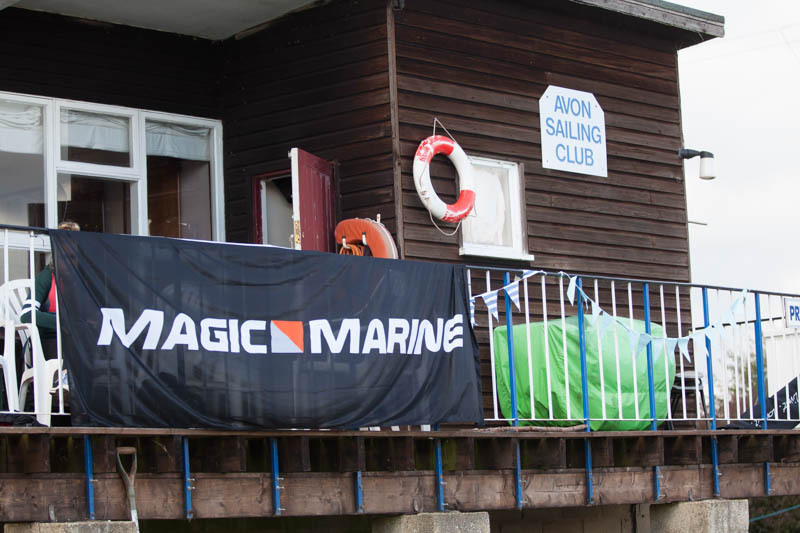 Thanks to Magic Marine for supporting the Class with an awesome spread of prizes and many thanks to the members from Avon SC for welcoming the RS Aero fleet to their pretty stretch of the river Severn. We had a fantastic lunch, race management and excellent photos. It was a pleasure for many to experience a different form of racing to what they might be used to. These River Champs will certainly be right up there as one of our most pleasantly memorable day’s racing of this year, and we have had some great ones. 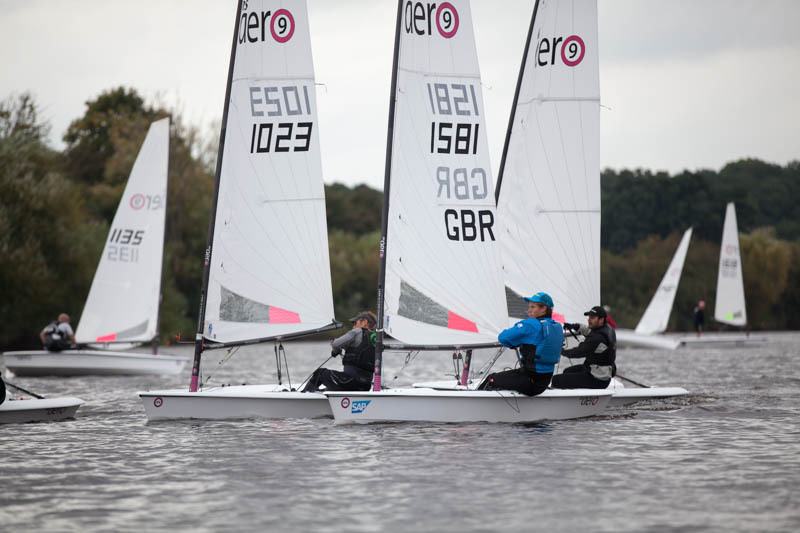 Next up this coming Saturday 15th October are the RS Aero Inland Championships at Chelmarsh SC near Kidderminster. This is followed by our Open at Chew on the 22nd and then ‘End of Season’ grande finale with the rest of the RS family on 5/6th November at Rutland SC. Chelmarsh and Rutland are the final two stages of both the RS Aero Northern and Southern Circuits, were north meets south!